The Ritual (film, 2017). A 2017 British supernatural horror film by eOne Films (UK)/Netflix (International). Directed by David Bruckner. Official Trailer. The Ritual is a 2017 British supernatural horror film directed by David Bruckner. 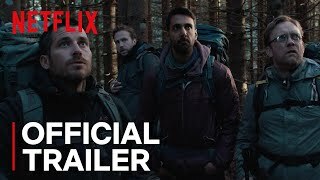 The Ritual | Official Trailer | Netflix. Five old friends from university - Phil, Dom, Hutch, Luke, and Rob - meet over drinks at a pub, and discuss plans for a group trip to catch up with one another. Rob suggests hiking in Sweden but is quickly shot down by the others. Later in the evening, the group exits the pub and passes a shop. Luke wishes to stop and purchase a bottle of vodka, which Rob accompanies him in doing. While conversing in the shop, the pair notice the distressed cashier slumped against the wall behind the register. Two armed robbers emerge from the back room, and Luke hides behind a shelf at the end of the aisle, leaving Rob frozen in fear. The robbers antagonize Rob, demanding his wallet, watch, and ring. Rob parts with the first two willingly but refuses to give them his ring, as it is his wedding band. Luke, still hidden from sight, flips the bottle in his hand and prepares to intervene. However, he is too slow to act, and Rob is bludgeoned to death. To honor Rob's wish, the four embark on a hiking trip along Kungsleden, or King's Trail, in Sarek National Park in northern Sweden six months after his death. When Dom loses his footing and injures his knee, impairing his ability to walk, Hutch consults the map and decides that an alternate route through a forest off of the trail will take them half the time. Upon entering the forest, the group encounters strange phenomena, including a gutted elk hanging from the tree branches and strange symbols carved on the trees. As night falls, a torrential rainstorm soaks the men. While looking for shelter, they come upon an abandoned cabin and decide to break in and stay overnight. Inside the cabin, they find necklaces hanging from the walls that depict similar symbols as the runes carved in the tree. While exploring the second floor of the cabin, Phil discovers a strange wooden statuette that is shaped like a decapitated human torso with antlers for hands. 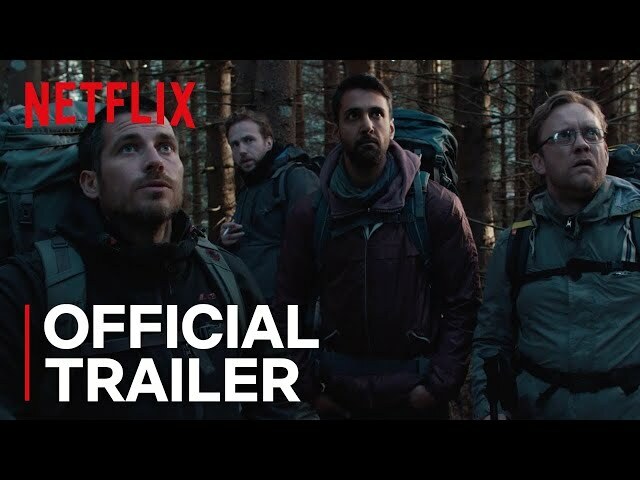 The film The Ritual was scheduled to be released by eOne Films (UK) and Netflix (International) on September 8, 2017 (TIFF) and on October 13, 2017. The duration of the film is 94 minutes. The film grossed over $1.3 - 1.6 million. The Ritual got high rating from critics. The audience also likes the film.